ETH price indeed matters for the development of the Ethereum, says Vitalik Buterin, who also notes that if the price is zero, then the network cannot be secure. 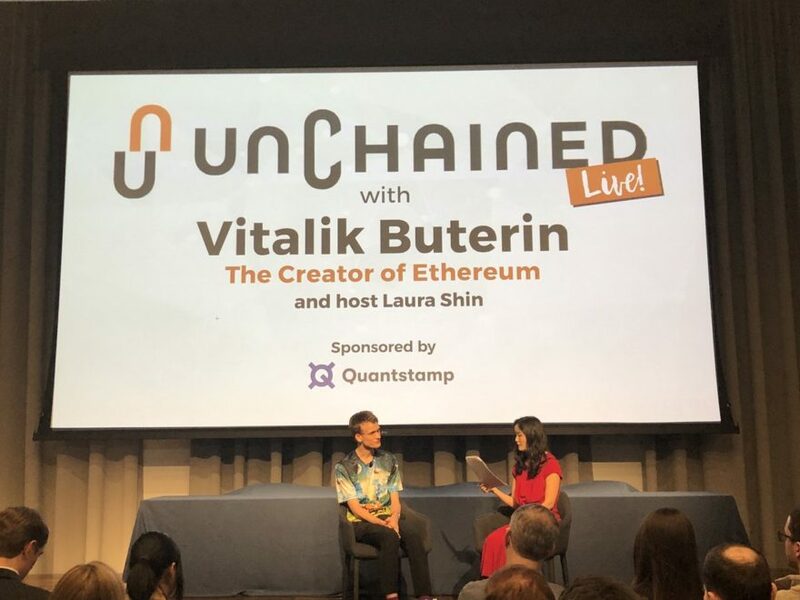 Speaking to a full house at the Columbia Journalism School on Wednesday, March 20th, Ethereum co-founder, Vitalik Buterin, stated that the price of the Ethereum token (ETH) must sustain its high level to ensure that the Ethereum ecosystem continues to develop. The 25 year old Russian-Canadian programmer explained to host Laura Shin that many of his fellow developers previously didn’t pay much attention to Ether price. Back then, much of the Ethereum team downplayed the market price of the ETH token as the focus was largely on developing smart contract technology. It was also a way for the Ethereum team to distinguish itself from other crypto projects that were “Lambo-ing” instead. In retrospect, however, this position was incorrect, he admitted. “I’m going to be really candid,” said Buterin. Some of the early rhetoric about the price not mattering at all…in part came from signaling that Ethereum was different from other projects that did pumping and Lambo-ing way too much. Today, Ethereum developers realize that “projects will be better if prices go up.” According to Buterin, it would be rather difficult to develop the Ethereum ecosystem at a low price. It’s always better when the price is higher. If the price is equal to zero, then the network cannot be sure, he adds. We definitely have our lawyers and our legal team. We don’t have a reason to worry right now. Today, ETH price is down roughly 90 percent from its all-time high of nearly $1,400 in December 2017. So it may come as no surprise that funding protocol development is becoming a concern amid a prolonged ‘crypto winter’ and industry-wide layoffs. Earlier this month, Buterin proposed a new way to boost project development. This involves increasing transaction fees (referred to as Gas) from network users to fund promising projects on the Ethereum platform. “At the cost of only increasing average user gas costs by ~7%, it would raise up to $2m/year in sustainable non-institutionally-biased market-based funding for client/wallet developers,” he continued. For reference, that would cover all EF grants to date to eth2 client devs (not including Parity, which is not just eth2…) with room to spare. Today, ETH price continues to sustain levels above $130 USD, after recovering from yearly lows of under $85 in mid-December 2018. Ethereum is arguably the second most well-known blockchain behind Bitcoin, and is the second biggest cryptocurrency by a market capitalization of over $14 billion. We are… beginning to see upside volatility pick up for ETH… This is a trend we are monitoring closely as ETH may be poised to outperform if BTC rallies. What do you think of Vitalik Buterin’s turnaround on the important of market price? Share your thoughts below!